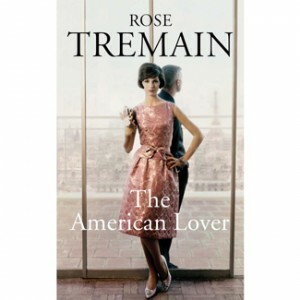 Rose Tremain is one of England’s most significant writers. She’s won The Orange Prize; The Whitbread and the The James Tait Black Memorial Prize. She spoke toSue Leonard about her latest collection of short stories. A NEW collection of short stories from Rose Tremain is a rare treat because, as the author of 12 novels, she doesn’t often have time to write them . “They have to be approached rather differently from the novel,” says Tremain, on the phone from Norfolk. Ideas for stories often arrive at inconvenient moments. “They always come when I’m busy working on something else, but it’s worth stopping and taking the time needed to write the story, otherwise it will vanish,” she says. The American Lover is a glorious collection of diverse, but captivating, vignettes. From the title story, featuring Beth, a once-famous author trapped in a London flat as she remembers her one transgressive love affair, to ‘Housekeeper’, an inventive tale about the real Mrs Danvers, of Rebecca fame, all are bound to delight. Tremain is pleased to know that my favourite is ‘The Jester of Astapovo’, which is based on the true events leading up to novelist Leo Tolstoy’s final days. “That story took me a ridiculous amount of time,” she says, “because of all the research I did. I read two lives of Tolstoy, and when I realised that he died at an out-of-the-way station and that his estranged family came belting after him, I was hooked. I felt I couldn’t just retell the biography — but when I conceived the idea of telling it from the station master’s point of view, it became a wonderful mixture of invention and real happenings. Another of my favourites, ‘Extra Geography’, is a lively tale about friends in a girls’ boarding school who decide to fall in love with their geography teacher. It brilliantly captures the boredom in such places, so it’s no surprise to discover that Tremain went to boarding school. “I was taken away from the Frances Holland School, in London, which I loved, and sent to a small boarding school in Hertfordshire. I was quite unhappy there, for the first term, until friendships were made, but it was a formative time for me, and I had a quite wonderful English teacher. Even then, Tremain toyed with writing. Growing up in the ’50s, childhood games were based on imagination. At the age of eight, she began writing stories, which her elder sister, Jo, then illustrated. In ‘The American Lover’, Beth is unable to write a second book, after her one surprise bestseller. Has Tremain ever felt similarly blocked? “I’ve never worried about getting material, because I’ve always had ideas for the next project lurking somewhere in my mind, and that’s because I have used very little of my own biography in my stories. My first novel was about an elderly man who had been a butler in a very grand house. People commented, at the time, what a strange plot that was for a 29-year-old woman to write,” she says. At 70, Tremain is one of England’s most significant writers. She’s won The Orange Prize; The Whitbread; The James Tait Black Memorial Prize and the Prix Femina Etranger, but it wasn’t until her fifth novel, Restoration, was shortlisted for the Booker Prize that Tremain was able to write full-time. “My first four novels got nice critical acclaim, but I hadn’t made any money out of them. I kept on day jobs; I worked in teaching and had a job as a picture researcher. It was tough, at the time, but, in retrospect, I think that progression was good. Tremain feels sorry for writers starting out today, because often they get dropped if their second or third book is not a commercial success. Tremain has been honoured with a CBE, and last year was made chancellor of The University of East Anglia. “That’s like being the Queen, as opposed to the Prime Minister,” she says. Living in Norfolk with the biographer, Richard Holmes, and with houses in London and France, her life sounds utterly idyllic. “It’s perfect. It’s hard for non-writers to understand the craziness of this sometimes debilitating process, and the need, sometimes, for writers to travel for research, and to be on their own. “Richard and I have never had a problem with allowing each other those freedoms. him being a biographer makes the dialogue between us more interesting. “He works much harder than I do, but this thing of talking serious shop is a great delight. “And when you reach a moment of difficulty in the writing, he’s there to remind me that, yes, writing something as complex as a novel there are bound to be moments when you are stuck, but you will, of course, get through them,” she says. Tremain can’t imagine ever retiring. “The idea of ever giving up those fascinating journeys of novel-writing is terrible. “I was talking to Jim Crace, and he said he didn’t think he’s write any more. I felt devastated on his behalf. I asked him what he would do, and he said ‘I’ll just potter around.’ To me, that would feel life premature dying. Her greatest fear is that she might go blind, as her mother did. “I’m haunted by that. It would be the end for me, as a writer. I don’t think I could do a Barbara Cartland and lie on a couch and dictate to somebody. The next novel exists in the form of scribbled notes in a notebook. “I’ve got ten pages of scribbles. When I feel more confident, I will move to my other desk, where there’s a computer.